After more than a year since it was announced, the Aquatronica Touch aquarium controller is finally rolling out to the public. Just a few days ago, Aquatronica broke the news that the controller will be immediately available to all international customers, and at a special introductory price too. For orders placed on October 24th through November 30th, Aquatronica Touch customers will enjoy a 50€ discount, bringing the price of the unit down to 549€. This new Touch controller is undoubtedly the keystone to an already extensive lineup of aquarium control equipment, and its impressive screen and robust capabilities will definitely give aquarium nerd technophiles something to drool over. 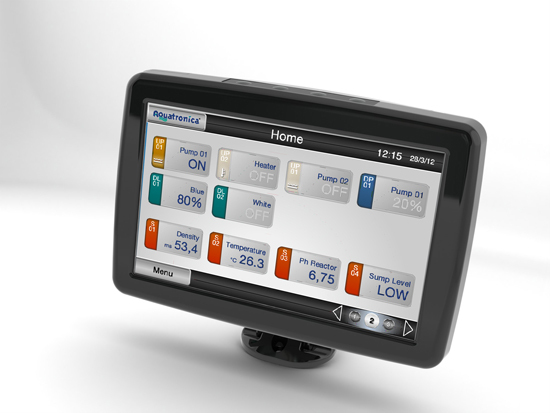 This web enabled Touch controller features a beautiful 7″ touchscreen display that allows users to check on water parameters and manage various pieces of equipment that are being used by the device. 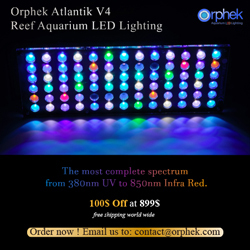 It is compatible with all Aquatronica products (modules, interfaces, and other accessories) and connects to the web via built-in LAN connection hardware and WiFi, though wireless connectivity will require additional accessories. Through the network interfacing, hobbyists can manage their entire aquarium through the internet from anywhere in the world. Of course, Aquatronica developed the system with Windows and Apple compatibility in mind, meaning mobile aquarists can take care of business while on the go. In terms of alerts, the Touch system features an automatic mailing system that sends reports and alerts to the owner, which means they won’t have to hover over their mobile device to stay on top of water parameters. Making the system even more versatile, the Touch can manage more than one aquarium at a time, including fresh and saltwater tanks at the same time. Very convenient if you’ve got a severe addiction to aquarium keeping. Most of the features listed above are pretty standard for high end controllers these days, so, the Touch needed a way to stand out. 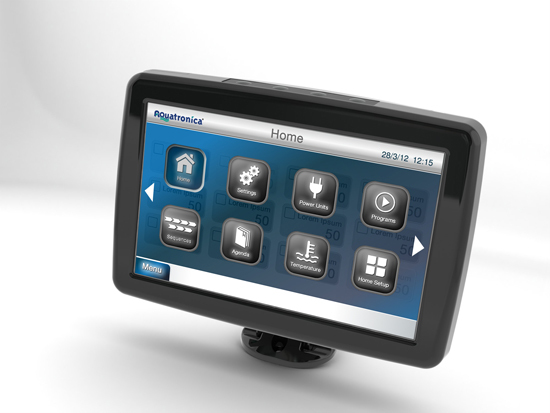 Aquatronica’s answer to that issue, design the controller alongside experts in the fields of graphic design and interface development to focus on system usability. They poured over user input and decided to make every action easy to execute and yield immediate results. I loved my Aquatronica that I had around 2008. However, its just too expensive to expand, so I ended up with an RKE and then an Apex as I could do more with them.